From the chaos of Chinatown, we went inside a nondescript building, up through a darkened stairwell, and into an open hallway. We were ushered inside a keypad-locked wooden door and were greeted by the tiniest lobby ever. 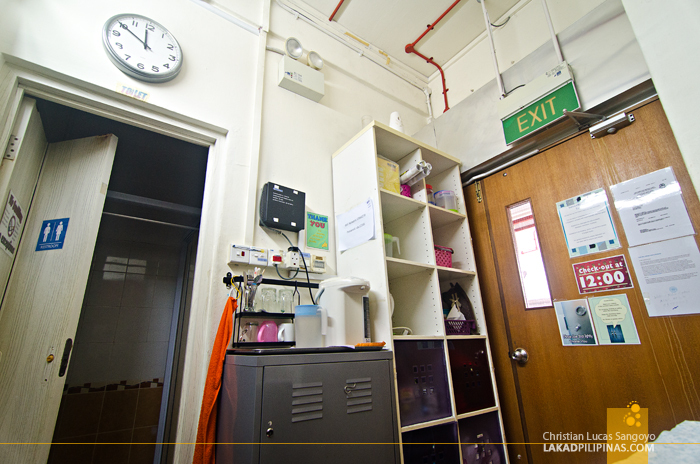 A step away, another door was opened for us and we were, again, greeted by the smallest dorm room. Ever. It was our last few days in Singapore. 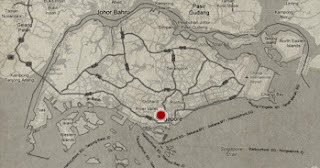 We were supposed to go to Johor Baru, crossing the border between Singapore and Malaysia, and spend a night there, but we decided to simply stay at SG. It was the end of our Beach Hop Asia summer tour and we were just too doggone tired. The problem was, since it was an impromptu thing, we have nowhere to stay. We were then lodged at the Beary Best! Hostel, but they were already fully booked, so we have no choice but to look for another hostel. A cheap hostel. 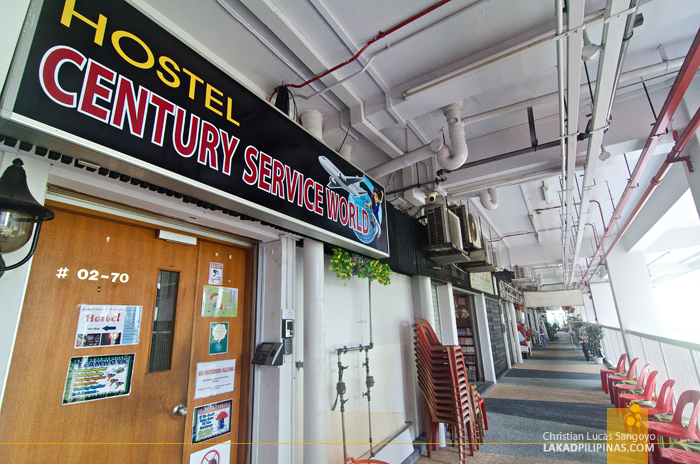 The guys from Beary Best recommended Century Service World Hostel. Not really the most attractively named hostel, but they said that this is the pioneer when it comes to cheap lodgings in the whole of Singapore. We were a bit doubtful, so we checked it out at Agoda. The premises aren’t your usual funky, backpacker types, but it looked decent enough. So we booked our stay for the night online, and walked with our backpacks, right then and there, to our next accommodation. A kindly old Chinese gentleman welcomed us at his office. This is the guy that started the hostel scene in Singapore? Wow. 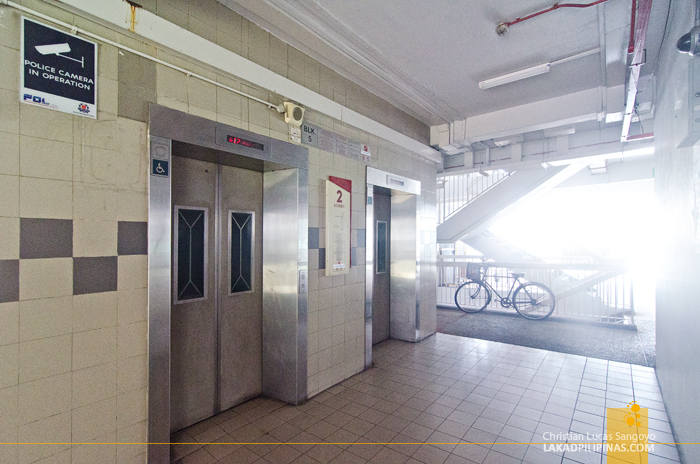 Uncle, as he told us to call him, led us to the hostel proper, which was at the second floor of the building. And yes, it was cramped. Considering the price we paid, it was worth every square inch, I guess, lol. The very mini lobby has a water jug, a thermos, and a few mugs—should you want to have coffee at the building’s hallway (which has chairs and tables, by the way). 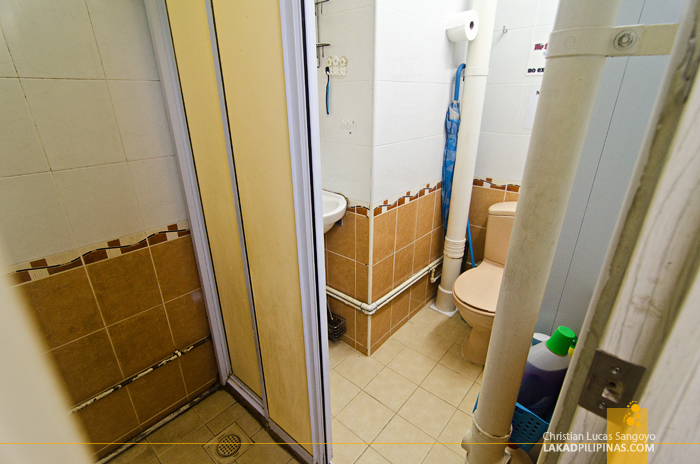 A common one-person toilet and bath opened on the right, and the dorm rooms on the right and out front. The beds are steel bunk types with mattress and blankets. 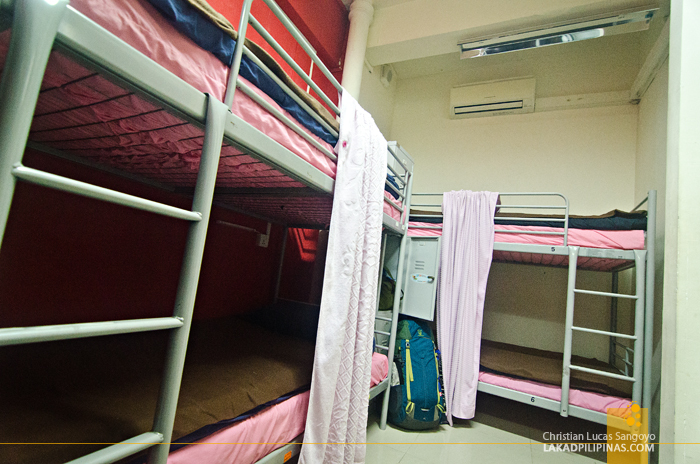 Each guest has a medium-sized lockers and like most hostels, you have to bring your own lock and key. The space was just enough for four people to move around in, but since we were only three in the group, it felt like we were on a football-sized arena, lol. Besides its price [CHECK DISCOUNTED RATES & AVAILABILITY], the best thing about Century Service World Hostel is its location. 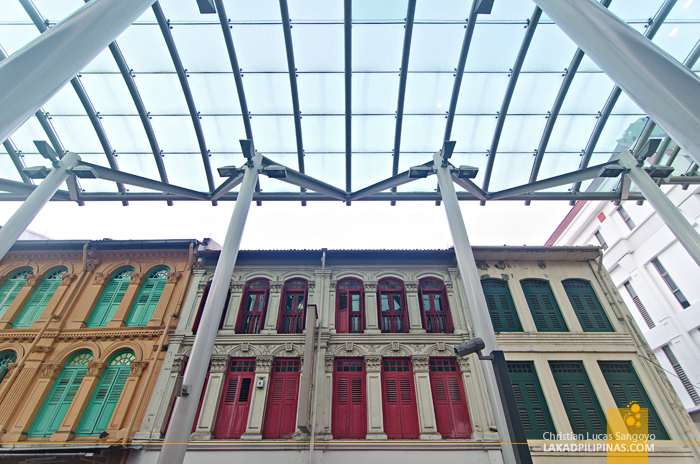 Set right in the heart of Singapore’s Chinatown, it’s definitely where the shopping action is. 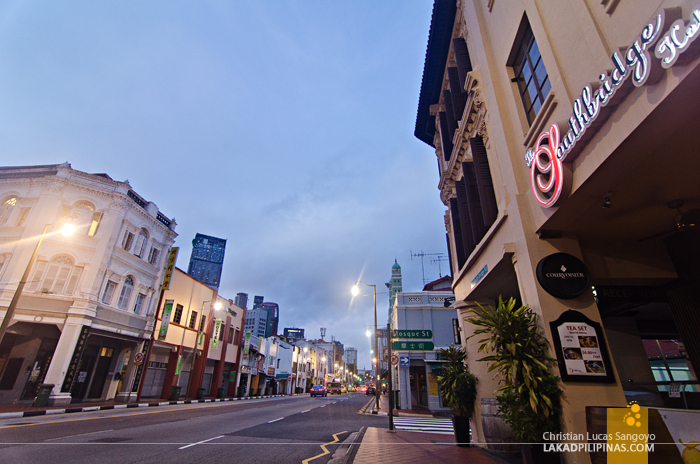 Two of SG’s most famous temples, the Buddha Tooth Relic and the Sri Mariammam Temple, are also just a minute away by foot. 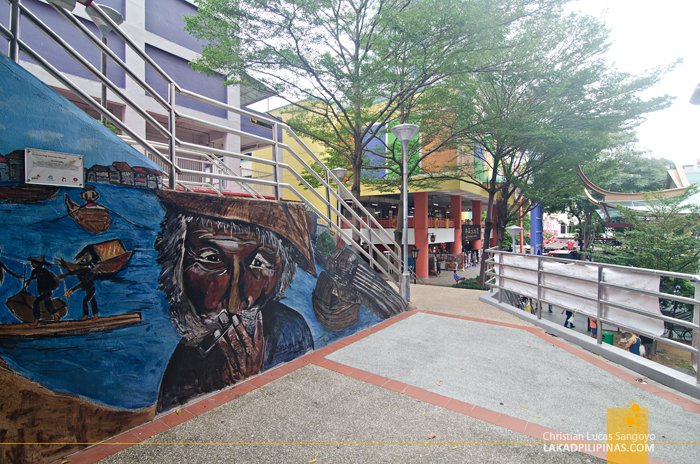 So are numerous hawker centers! After leaving our bags, we proceeded with a cultural tour around Singapore (also check out our Singapore free attractions day tour), courtesy of our cultured friend from SG—R of Flip Travels—going back to hostel late at night with cans of cheap beer from one of the nearby convenience stores. We guzzled our last night in the country at the tables set up right on the second floor hallway of the building. We relived the revelry of the past two months of our trip and our impending trip back home. Spell Jollibee Chickenjoy. We went to bed, tipsy and dreaming of juicy chicken meat covered by crisply fried chicken skin dipped on thick gravy.